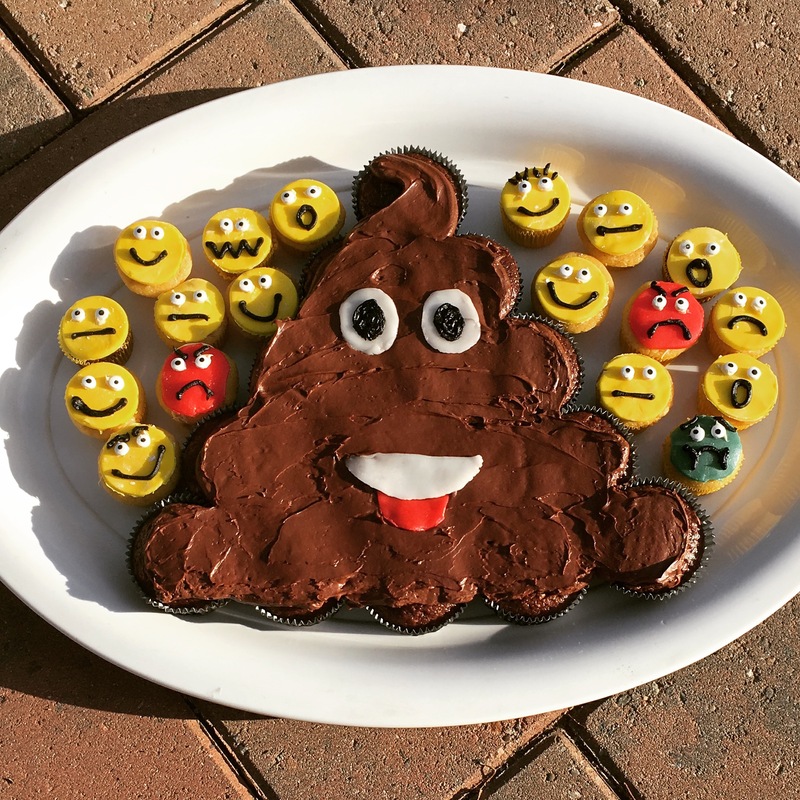 Normally, Poop and Cake should never be in the same sentence, but when your 6 year old nephew has an emoji birthday and requests a poop-emoji cake, that is just what you make. I wanted to create something easy for kids to eat, but that clearly fit the emoji-theme. 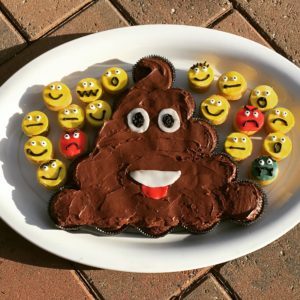 The poop emoji cake is made of chocolate cupcakes frosted as one large cake. The eyes and mouth are made from airhead candies flattened and cut to size. The swirl at the top makes it feel like the cartoon-poop on every iphone keyboard. 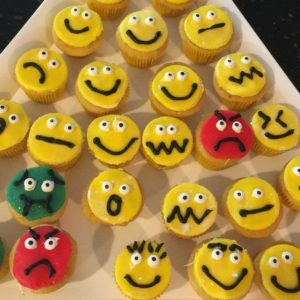 The smaller emoji cupcakes are mini-vanilla cupcakes covered in fondant. The googley eyes are ready-made and available at Michael’s. 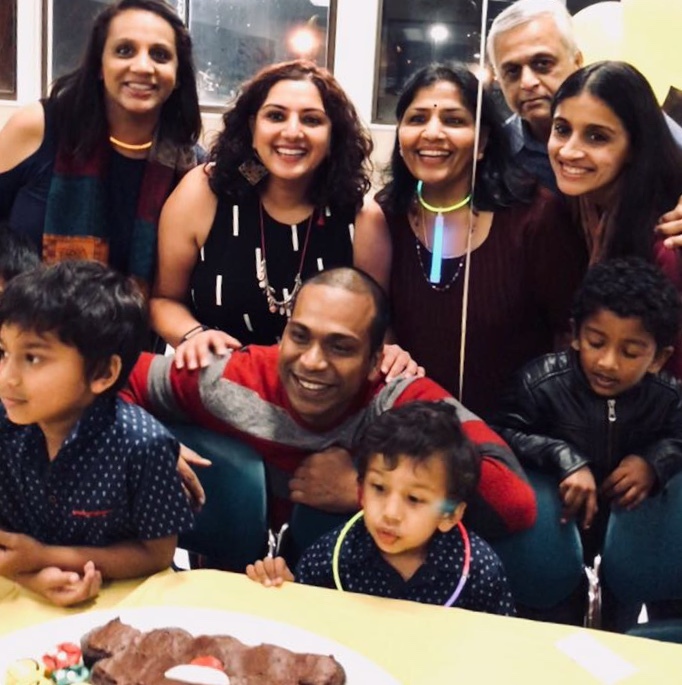 Simple smiles and frowns make for a variety of emojis any kid would love! Happy decorating!